2011's been a year of unexpected protests. We've had the Arab Spring reconfiguring the political map of various Muslim governments and the Occupy movements calling for financial reform. This summer, a video-game equivalent happened on the servers of CCP's cult sci-fi MMO EVE Online. In the words of senior producer Arnar Gylfason, "It wasn't a complete surprise. But, at the time, we were shocked at the magnitude of the backlash and dissatisfaction." What pissed players off? Users felt like they weren't being listened to and were being handed expensive add-on content and gameplay modes that broke their expectations. Gylfason says the way that CCP introduced Incarna — the avatar gameplay mechanic that forced people out of their ships — took players out of the transports that they'd so lovingly crafted. Furthermore, the introduction of virtual goods rankled players as may users felt the in-game accoutrements were too pricey. "it was just pure vanity items that you could buy something to outfit your character. But, when we rolled out the store," Gylfason offers, "it looked like the price range of items was going to be from $US10 to $US20 to $US60, and nothing under it. I think one of the major screw-ups was just not having more fleshed-out pricing tiers before the roll-out. We absolutely intended to have it, but it was just a question of asset production not being complete." 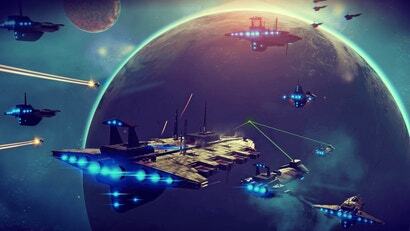 Protests took the form of a massive spaceship sit-in, where thousands of users went outside of one of the game's most popular trade hub stations. "Hundreds and hundreds of players kept showing up and shooting at a monument that's out there," Gylfason "You can easily draw parallels to real world examples." And there was a real-world chilling effect on EVE, too. "It strained the server for sure," the producer admits. "When people share a universe, you can't really do balancing in terms of just saying, ‘Oh, sorry, this group of hundred people go to this server. And this go to this server.' Everybody goes to the exact same location. You have to deal with that." And deal with that, they did. Canvassing the community for feedback, CCP also admitted that they'd not been as engaged with EVE as they'd previously been. Gyalfson say that the admission was that "we made a mistake. We're sorry for it. And now we're going to improve." Crucible addresses the quality-of-life issues people have had for a while, he offers, balancing some ancient features in some cases, fleshing out production lines, adding new modules and fixing UI issues. "I think we've now shown with Crucible that we've heard you loud and clear," Gyalfson says. "And we are back on track and doing what has made EVE and CCP great for all these years. Here we are. This is us." Why is it such a problem that the game might sell you an in-game monocle for $80? Can't you just not buy it? valid point, but it's a pretty amazing concept that people can actually protest in a virtual world. I think it also says something about their players. I can't imagine something like this being pulled off by the players of WoW- well maybe after they finished their dailies and caps. There was some dissent when Blizzard announced the $25 in-game mounts and $15 pets but they were very much the minority. The vast majority of players bought them with a smile on their face... Until they rolled up into Dalaran on their bitchin' new Spectral mount and saw that hundreds of other people did the same thing. Which defeats the purpose of a cool, unique mount you paid money for. I don't play, but my friend who does said it had more to do with a complete lack of lower price items. The whole thing became rather exclusionary and people didn't like it. Good point. I'd say that would grate a lot. And yeah, a virtual protest is pretty cool. As a non-WoW player I was also pretty amazed at that virus outbreak a while back. Pretty cool, although it makes you dislike people generally. Thanks for the info. That's all a bit up yoursy. Glad they seem to have listened to a fanbase that was in turn being reasonable in its complaints. I feel all warm in the heart now, guys ! If Skyrim was an MMO, I could see it happening there.. nothing they can do short of making an entirely new game will win me back to EVE though. I might check out that new DUST game on the console but yer.. unless they do something along the lines of Xwing vs Tie-fighter for the space combat, it holds no real interest for me anymroe. Only bad side of all this is they let go a lot of the World of Darkness Online team to focus more on Eve. JET TRAILS YES. Best thing about old EVE was the jet trails. While the information in this article is accurate, it does not tell the full story. The changes that were implemented forced players to walk in a small room called Captains Quarters and onto to a balcony where they could see a ship that they selected. After a few more clicks you can actually fly the ship and look at it at the same time. The same effect could have been achieved by the players them self in privacy of their home by putting on an eye patch and donated 60 dollars to charity of their choice while counting to 10 every time you wish to fly one of your ships. And that’s what the protest is all about.